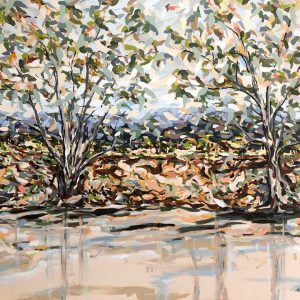 Capturing the Australian landscape while exposed to the elements as it rapidly changes, is truly a wondrous experience – it brings such immediacy to the work (and can be incredibly problematic)! 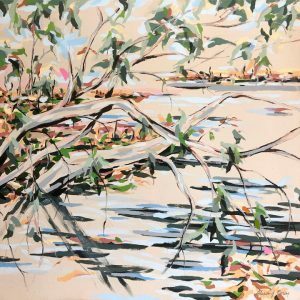 The layering of calligraphic line is my felt response to the early morning light and throughout the intense days mid summer. 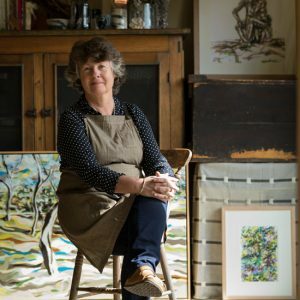 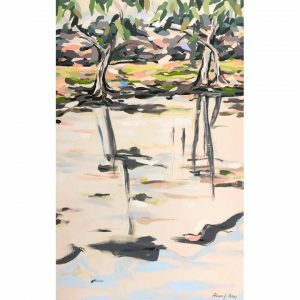 An artists’ residency in the Clare Valley, South Australia became a turning point in my approach to landscape painting and inspired the joint exhibition 'RIVERINE en plein air'. 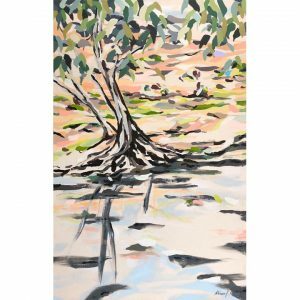 The use of intuitive fluid line reflects an honest connection through me as an artist and onto the surface. 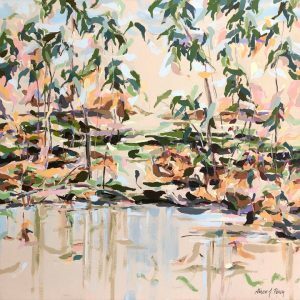 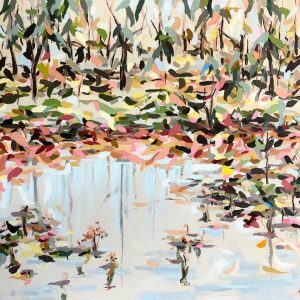 This body of work is a series of acrylic paintings produced en plein air - from the Upper Murray to the Lower Riverland.